The greatest civil war in mankind's history is finally upon us in the form of some fantastic plastic miniatures and a new board game. 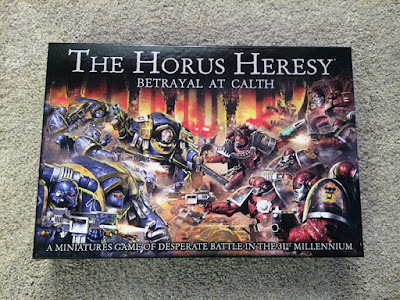 So does Betrayal at Calth live up to our expectations? 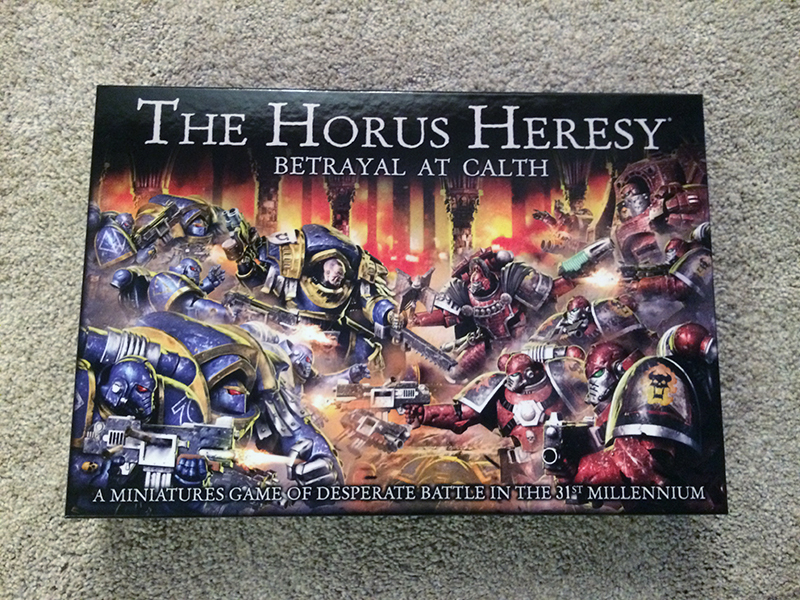 Games Workshop was kind enough to send me an advance review copy of the game last week, and from the moment I opened the plain brown shipping box and saw what was inside I've been ecstatic about the Heresy. So a big thank you to GW for providing me with this opportunity! 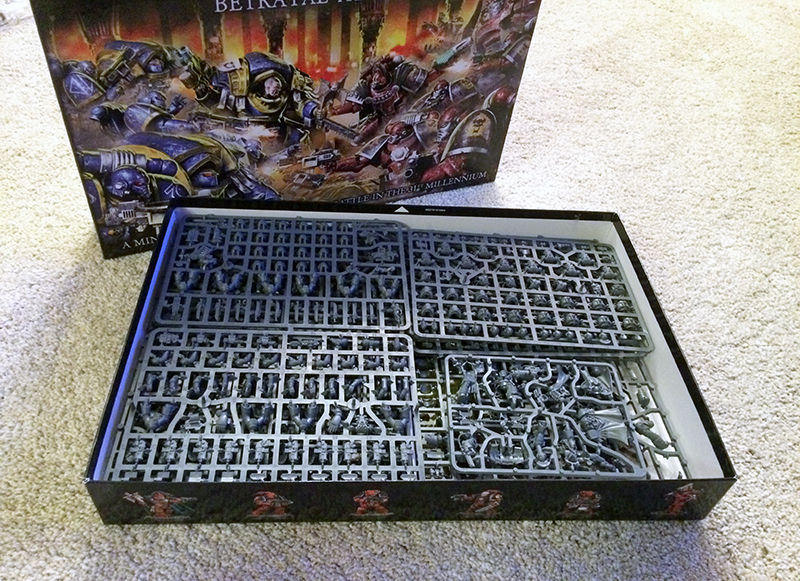 Looking at the packaging the game looks like a cross between Space Hulk and 40k, which isn't far off. The box art is great, and if not done by Neil Roberts himself, then they tried their best to make it look like his style. The material the box is made out of is a sturdier cardboard, just like they used for Space Hulk, Dreadfleet, and I'm assuming, Execution Force. This is due to the fact that it's a board game you are likely to store, whereas normal 40k and Fantasy (or AoS) starter sets are most likely going to have the box thrown away once you have built the models. 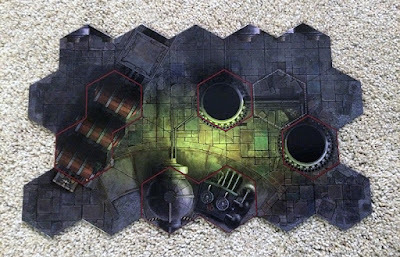 This allows you to set it in your closet or bookshelf and stack other things on top of it without fear of the box collapsing, destroying the game tiles within. 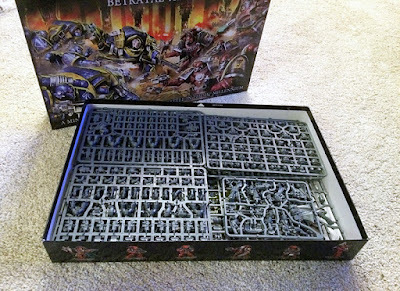 Once you crack it open you are greeted by a box brimming with sprues. These are not your typical starter set models, these are full, multi-part plastic models, equivalent to any other 40k set out there in detail and extra bits. You can definitely tell that they have plans to release each of these on their own at a later point as it's own set. The only models that I think will probably end up being exclusives to this box are the two characters and the Contemptor Dreadnought. The Contemptor just seems to have a little stiffness in it which is similar to something from a starter set since you're going for simplicity. I wouldn't be surprised if they release a different version of a plastic Contemptor with more poseability later on. Having said that, this Contemptor is still pretty great, and even comes with some alternate weapon options. 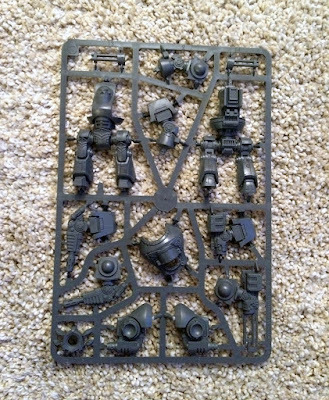 In the set you get 30 Legion Veterans (equivalent to Tactical Marines), 5 Cataphracti Terminators, a Contemptor Dreadnought, a Legion Praetor in Terminator Armor, and a Chaplain. The Veterans are loaded with bits and options, including either a missile launcher or heavy bolter, a plasma gun, flamer, or melta gun, and the ability to make a combi-weapon version of any of those special weapons for your Sergeant. You also get a chainsword, power sword, two different versions of a power fist - open or closed, and a lightning claw attachment to go on the back of one of those as close combat weapon options for him. There is also a choice of 13 different heads - two of them without helmets, 11 different pairs of shoulder pads, 10 very gigantic sheathed combat blades, 11 different torsos, and a plethora of pouches, grenades, and other accessories. The Cataphracti Terminators also are loaded with bits and give you the option of equipping them with either combi-bolters and power fists, or twin lightning claws. You also get a heavy flamer and seven different heads to choose from. These go together slightly odd, but it works in the end, and is just further testament to GW's ability to figure out the best way to cut up their kits. 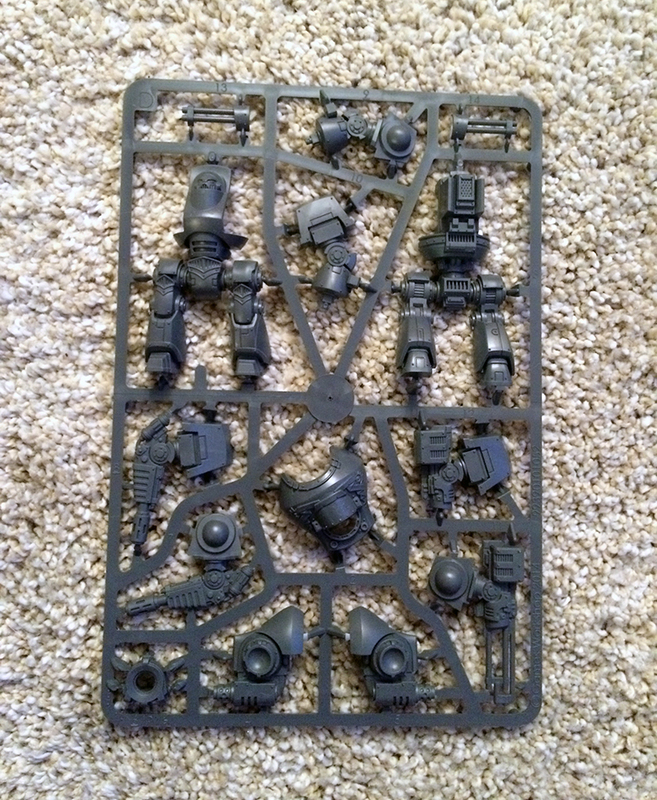 The Contemptor is further evidence of this creative model cutting, since they got it all to fit on one sprue with only 14 parts. While this does lend it to being slightly static compared to what we are used to from Contemptors, it still gives you the option of a Kheres Assault Cannon or a Multi-Melta. It's also a plastic Contemptor Dreadnought! So, you know, I'll take a little limited poseability if that's what they had to do to get us this model. 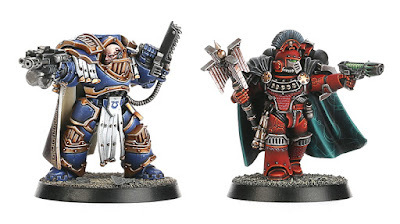 The two characters are exactly what you have come to expect from GW's new line of plastic characters. They are dynamic, detailed, and cut up in ways you never would have thought of. I do wish they had given the Praetor a cooler weapon than a chain-fist though. I have never been a fan of that weapon, and it just doesn't seem very heroic. The model is also made in such a way that you can't easily replace that arm without doing a lot of resculpting. All in all though, they are great, with the chaplain being my favorite of the two. 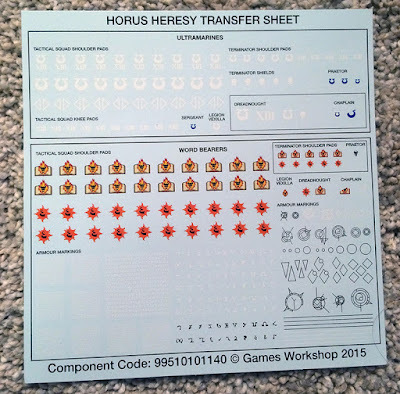 The transfer sheet for the minis gives you enough to paint the entire box as either Ultramarines or Word Bearers, and is in my opinion, one of the best transfer sheets GW has done for Marines. 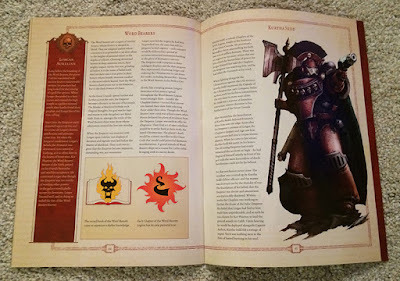 The extras for the Word Bearers are especially impressive. Once you have dug down through the piles of sprues you get to the board tiles, rule book, and rather unique dice for the game. The board tiles are gorgeous, and seem suitably sturdy enough to last through many, many games. I do hope they don't warp over time though like my Space Hulk ones have. The art printed on them is detailed, crisp, colorful, and perfect for representing the caverns of Calth. 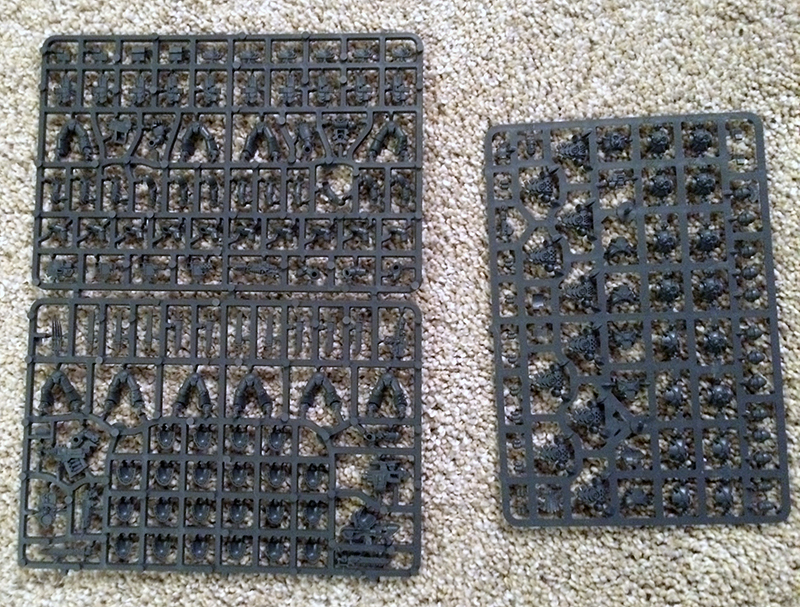 They are a lot larger than you may be expecting, but they are divided into hexes and each hex has to be able to fit a Contemptor or multiple 32mm bases in it. There are only four different main tiles, but they all have artwork printed on both the front and back, so you essentially have eight tiles. 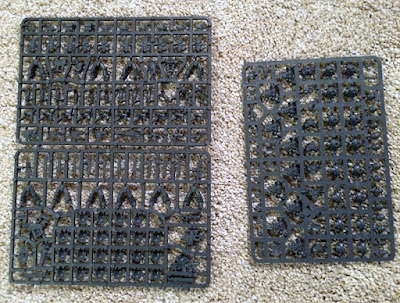 There also a handful of smaller tiles to represent barricades and rubble. The dice are not your typical D6, and instead have unique designs on them for either a shield, a hit, or a critical hit. Two of the sides are also blank. I'll go over this a bit more when I talk about how the game is played. The rule book is 49 pages long, with the first 30 or so pages dedicated to going over the contents of the box and the rules of the game. 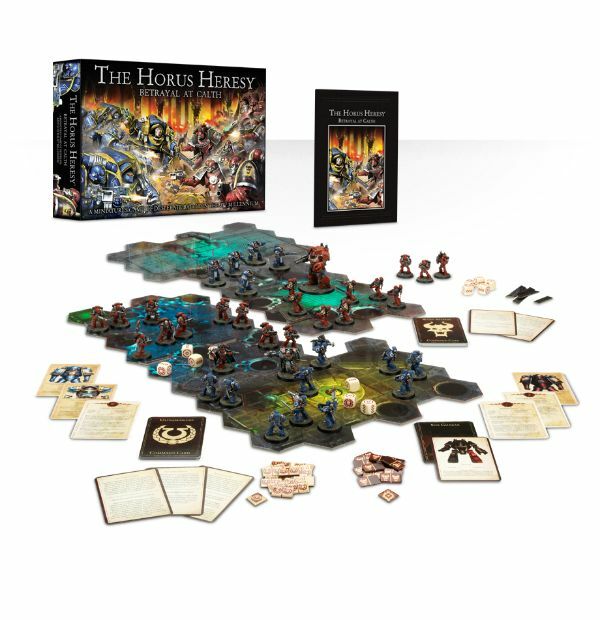 Everything is in full color, and has a lot of the design elements that you might be familiar with from Forge World's Heresy books. I would say it looks like a cross between a standard GW book and a FW, which is very fitting for this game. I would definitely recommend playing a game or two to get a good grasp of the rules. The cards you use during it are a big part, so you won't get the whole experience from just reading the rules. The lore section briefly goes over the Great Crusade and the start of the Heresy at Isstvan. 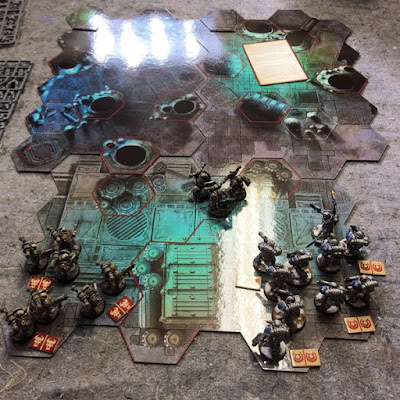 This is nice for people picking up the game as their first point of entry into 40k, but for most of us this will be familiar ground. Luckily it is only two pages long. This is followed by another two pages going over the battle at Calth and culminates in all of the forces fleeing into the catacombs beneath the planet and the start of the Underworld war, which is where this game takes place. 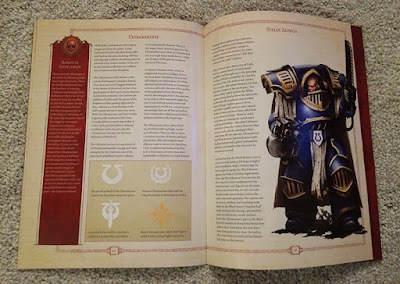 We then get a small look at the Ultramarines and Word Bearers legions, as well as a small vignette on the two main characters in the game, Praetor Aetheon and Kurtha Sed. The artwork in this part is great and looks to employ the same artists used in most of the FW books, as well a straight up reusing some art from the FW Heresy books. That's about it for the book. 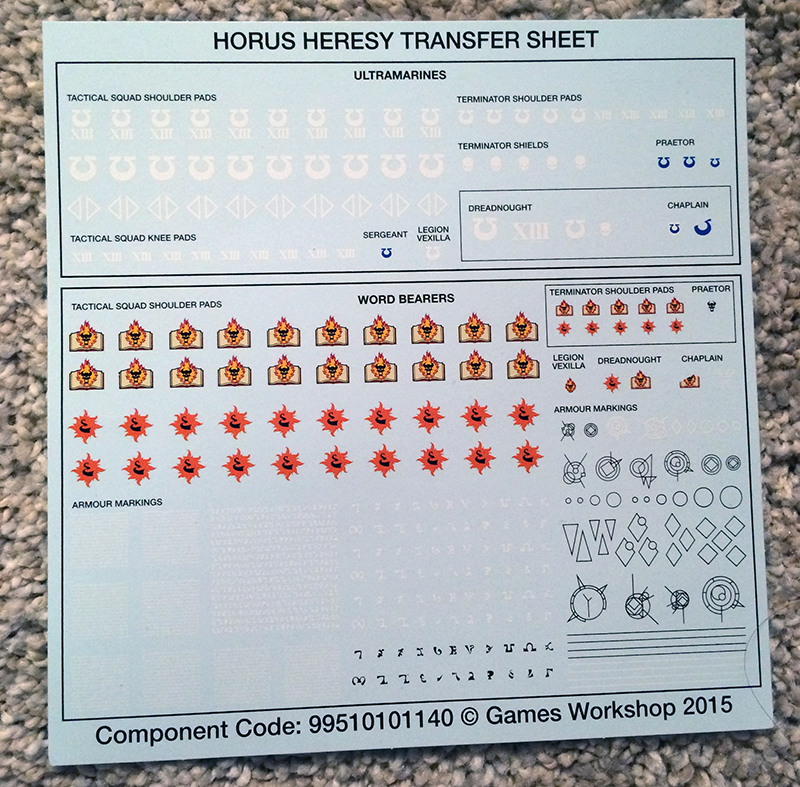 It's definitely not meant to be a starter set for the Horus Heresy beyond the fact that it provides you with all of the models you need. It only gives you what you need to play the game in the box and a small amount of backstory. I had the chance to get a few games in and I can say that it's pretty fun and fast once you get the hang of all of the rules. 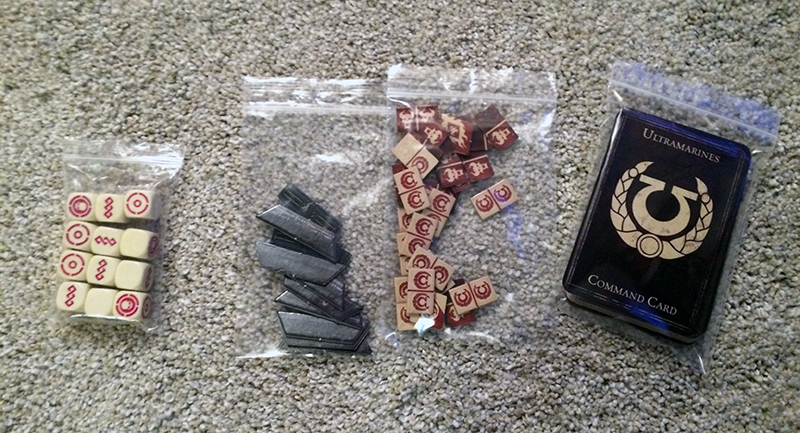 It plays differently then any other GW games, so it can be a little difficult to get into the right mind set. I will have an overview of the game play on here sometime soon. This is a pretty fun game, has a ton of awesome, brand new models, and is a great value for what you get. The box set is only $150 and when you add up the cost of equivalent GW models, it's about $270 worth of minis. When you consider the fact that all of these were previously only available through FW, it's even more in savings. 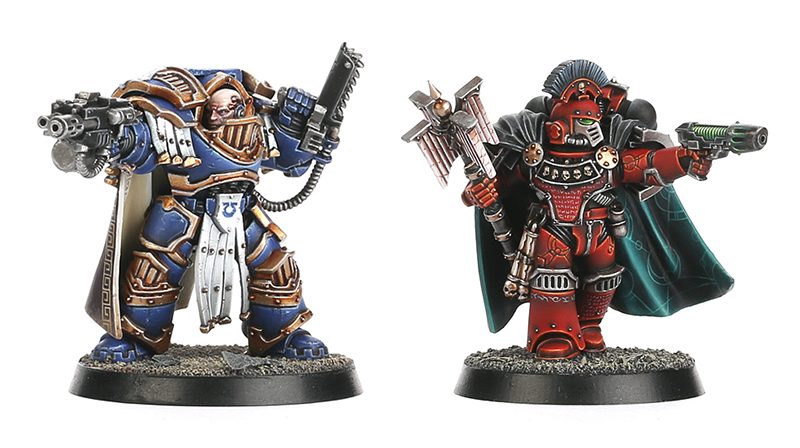 The Horus Heresy is only just starting for GW and I'm sure that we will be seeing even more models set in the dark millennium coming out in plastic. This is a great starting force for a Heresy army, or some good additions to an existing army. I'm already itching to try out the remaining scenarios in the boxed game.